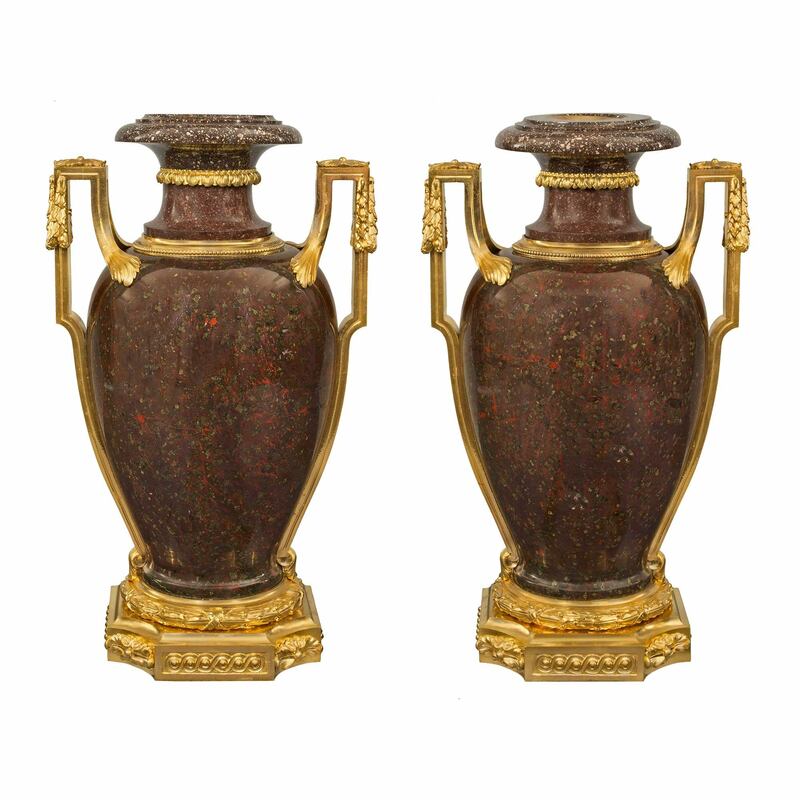 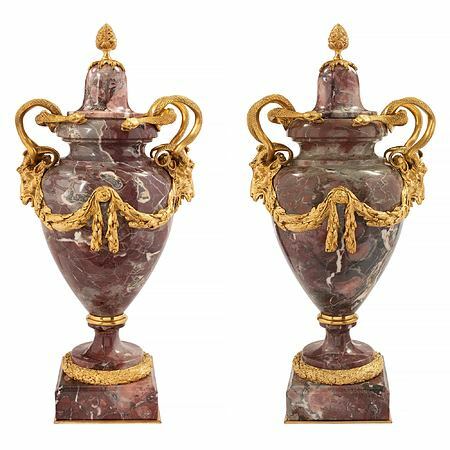 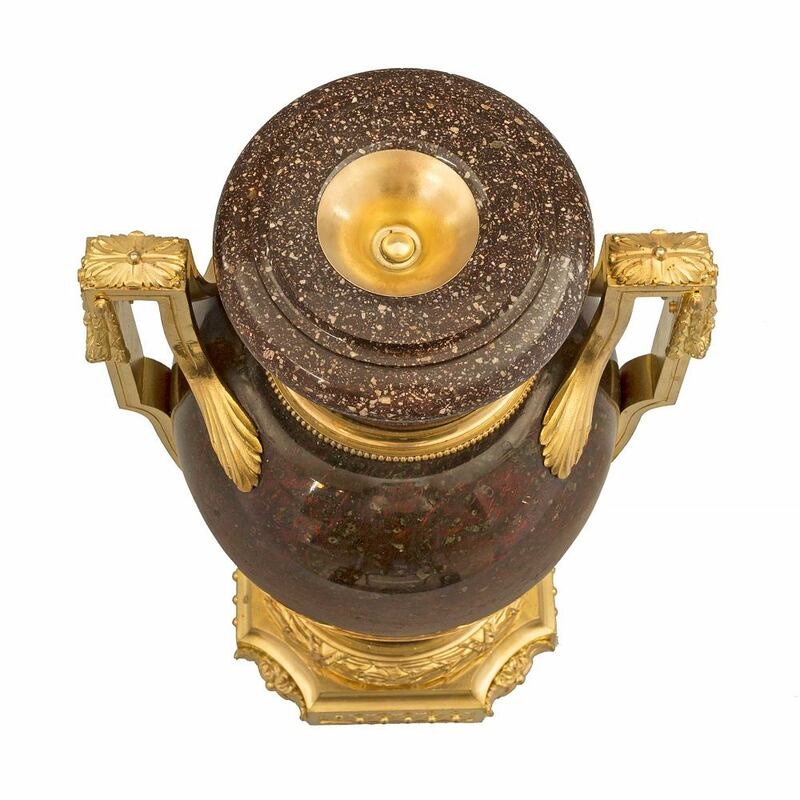 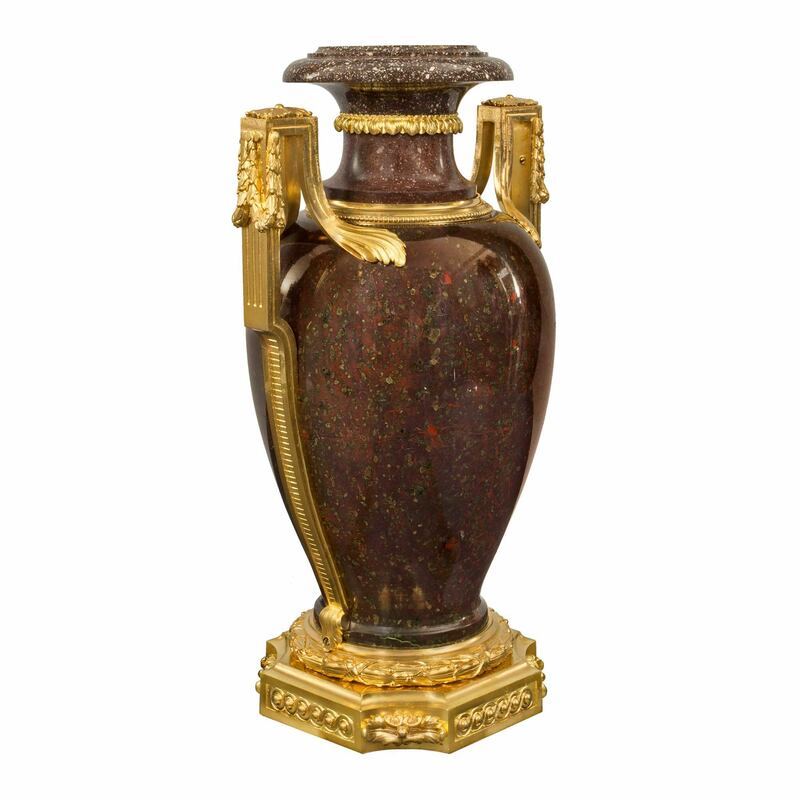 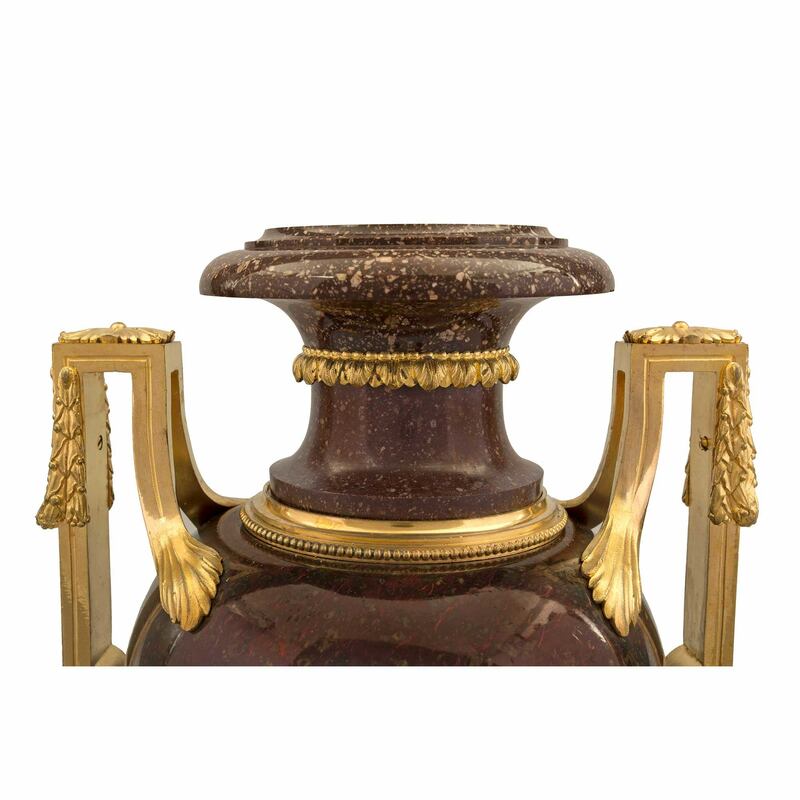 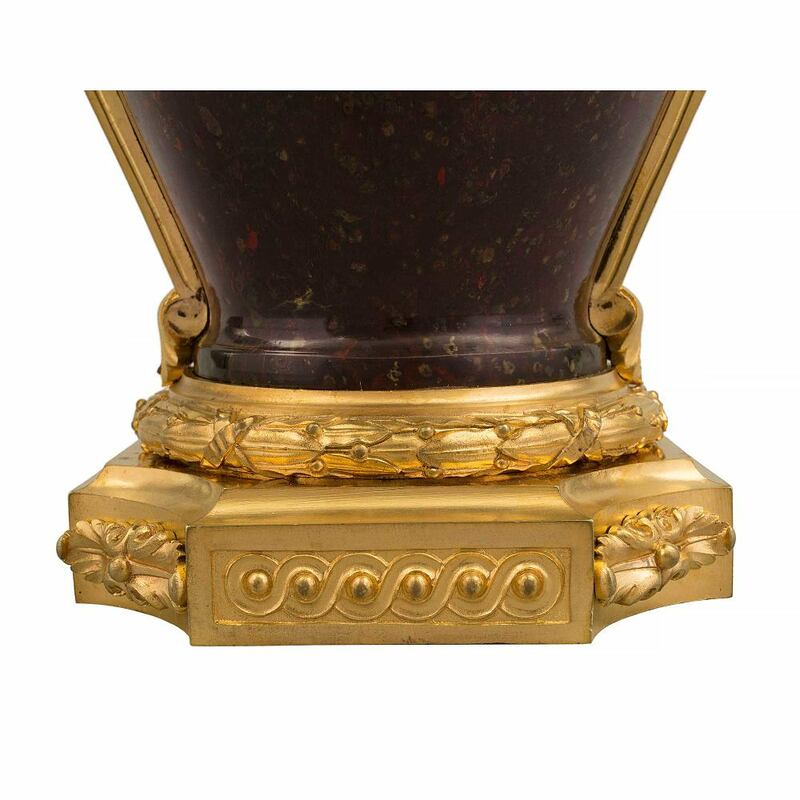 A stunning and rare pair of French early 19th century Louis XVI st. Porphyry and ormolu urns. 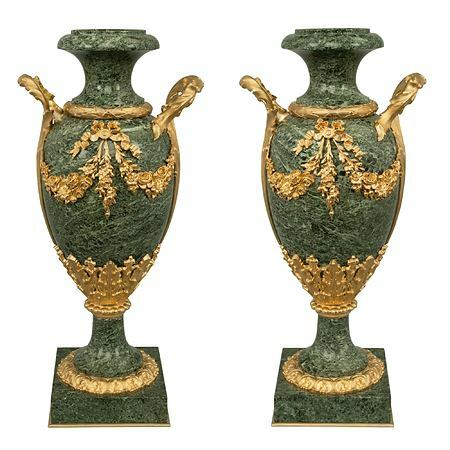 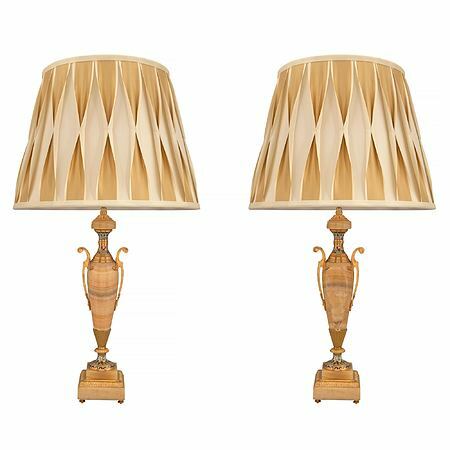 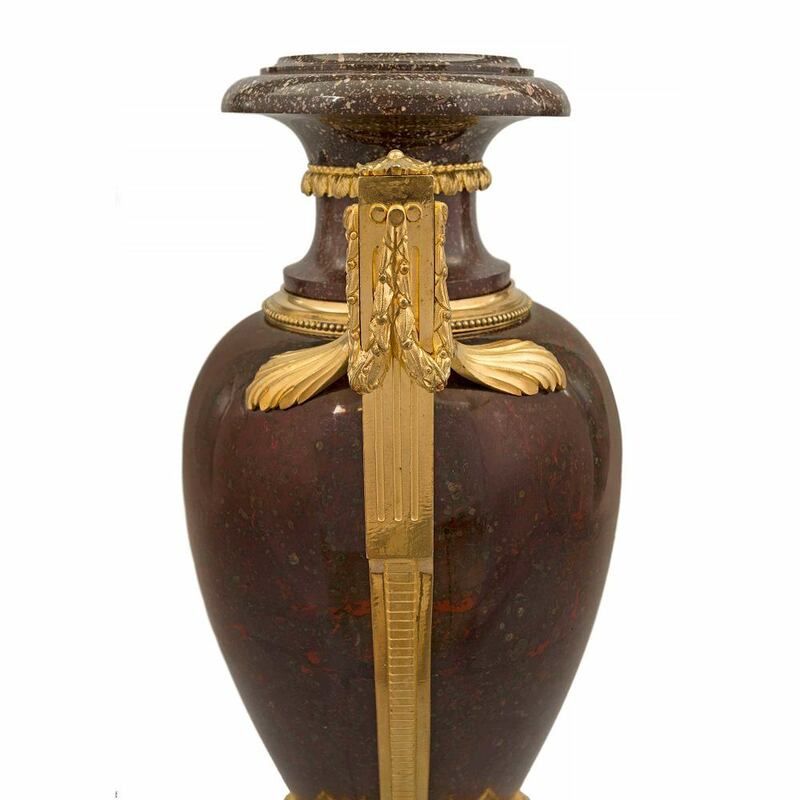 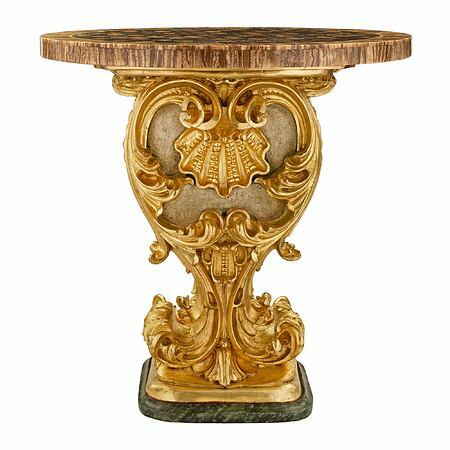 The urns are raised by a square base with concave corners with richly chased foliate rosettes centering beautiful fitted interlocking patterns. 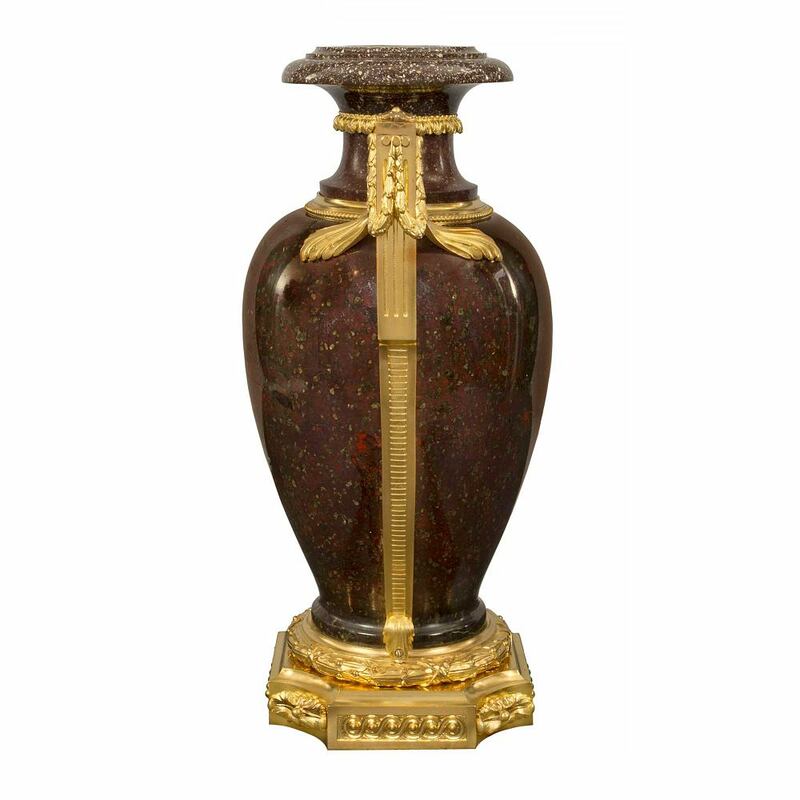 Above a fine tied berried laurel band two impressive Greek key designed handles encase the striking Porphyry body. 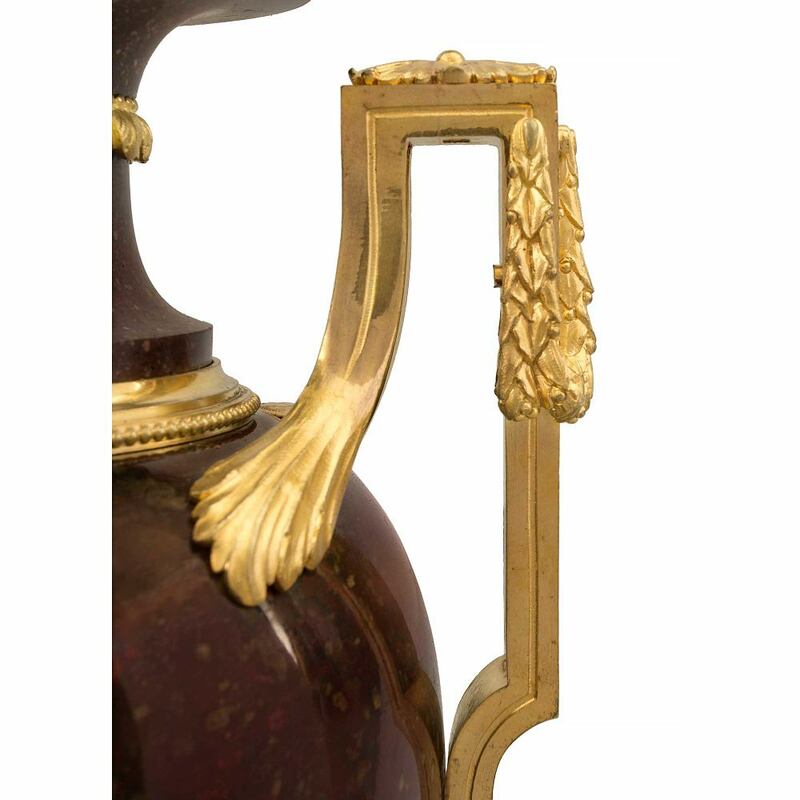 Each handle displays fluted patterns and rich foliate movements with a swaging berried laurel. 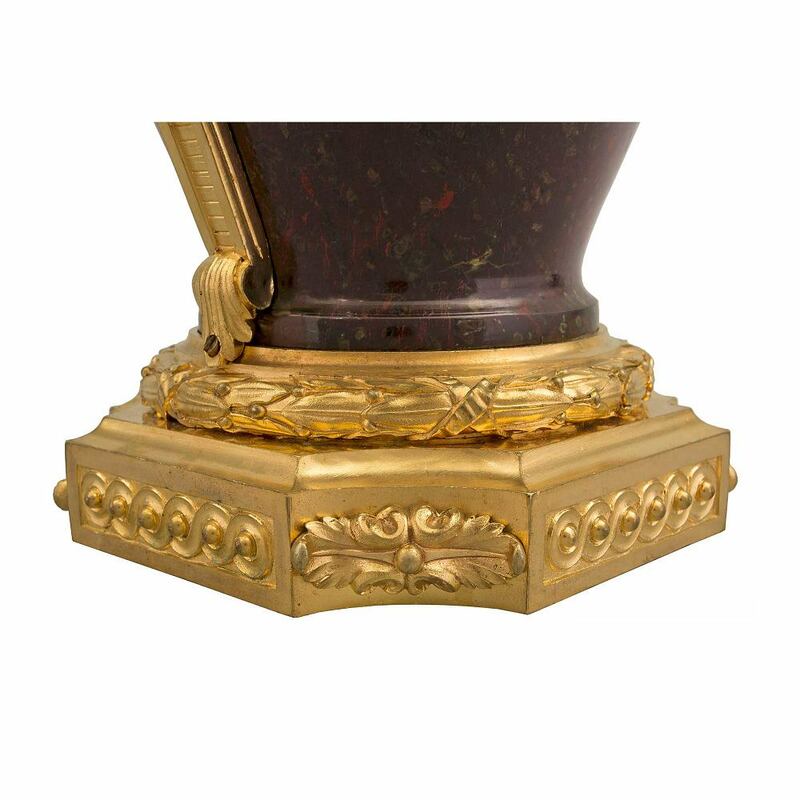 The elegantly shaped neck displays a beaded ormolu band and an intricately chased foliate band while showcasing the beautiful Porphyry. 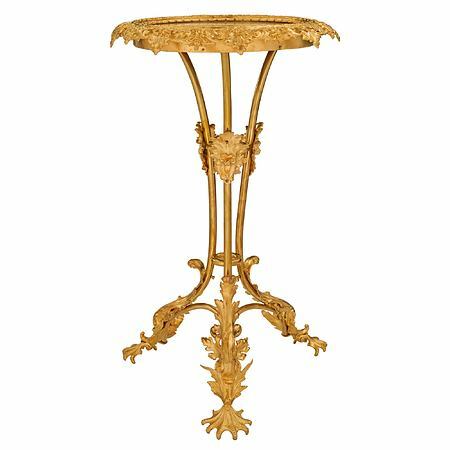 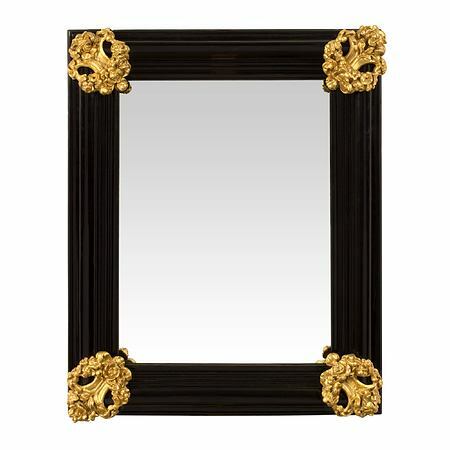 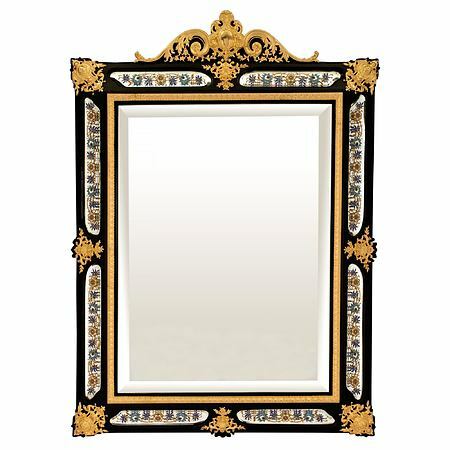 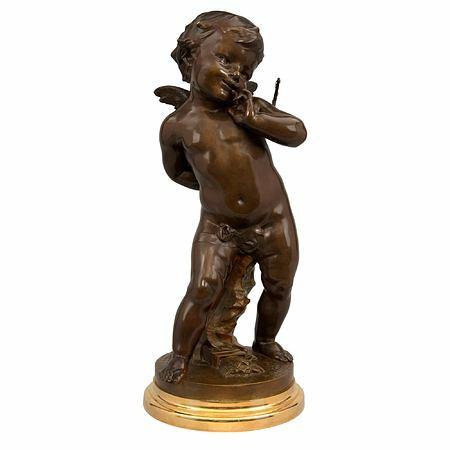 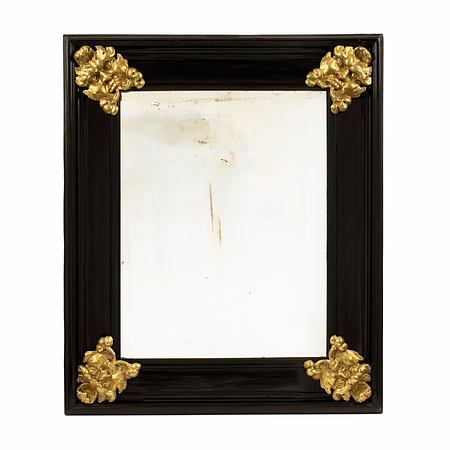 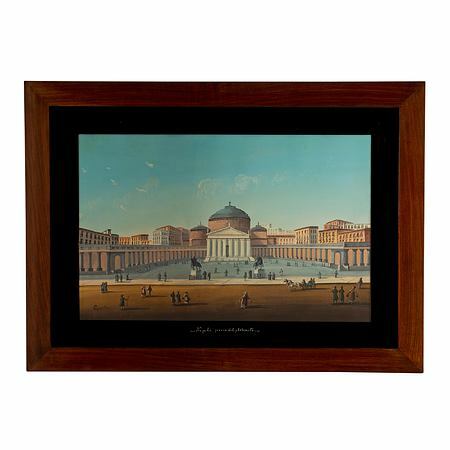 Item # 7634 - H: 17" L: 9" D: 7"
Item # 10103 - H: 19" L: 9" D: 5"